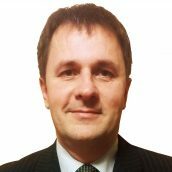 Zsolt Soczó is a lead developer and architect with over 15 years of experience in software design and development. He is a former Microsoft Most Valuable Professional. His interests range from architecting enterprise Line of Business N tier applications to Automated Trading Systems for financial markets. His real passion is making well tested and specified code via unit tests, TDD and clean code principles using proper designs and applying Design Patterns. In this workshop he brings his real-life experience and breathes life into the theory by providing lots of first-hand examples and practical applications from his own past successes and failures. Test-driven development makes software quality part of the development process and at the same time creates a safety net for future changes to our product. Starting from the basics of unit testing, this workshop guides the participants through specific code examples and exercises to show them how to do TDD efficiently and in a sustainable manner, getting the most out of this methodology while avoiding its pitfalls. The material is divided into 3 modules. During each module, the trainer will guide you through lectures and exercises that help you connect the material to your existing experience, learn new concepts and experience the concepts through practice. The course also points of when TDD is not the appropriate tool, to build a balanced view about TDD. During the course students have the opportunity to learn many useful open source and commercial tools for efficiently practicing TDD, like NCrunch, Resharper, Fluent Assertions, NSubstitute, NBuilder, etc. The course has a 4 days variant too. The difference between them is that the 4 days course has a full day about refactoring and it contains more unit test related patterns. Participants are expected to bring their own notebooks (with Visual Studio 2015, ReSharper and NCrunch). Handout (English or Hungarian) will be provided for the participants.